Open House Details: Please see on-site community agent at 286 S Singletree for information and free water. The Enclave at Prairie Farms! Featuring 17 Beautiful Lots surrounded by Mature Trees with quality built homes by Gabriel Homes! This Richmond Floor Plan offers 1 Level Living where you can relax on your Covered Deck enjoying your view! Inside you will enjoy a Spacious Kitchen with a Big Walk-In Pantry, Tall Windows, a Large Master Suite with a Luxurious Master Bath! Walkout Basement offers Family Room, 2 more Bedrooms, & a Full Bath! CLOSE to Lake Olathe! WATCH Youtube: LakeOlathe.com PICTURES ARE OF PREVIOUS HOME. 2770 W Wabash Street (MLS #2136275) is a traditional single family home located in Olathe, KS. 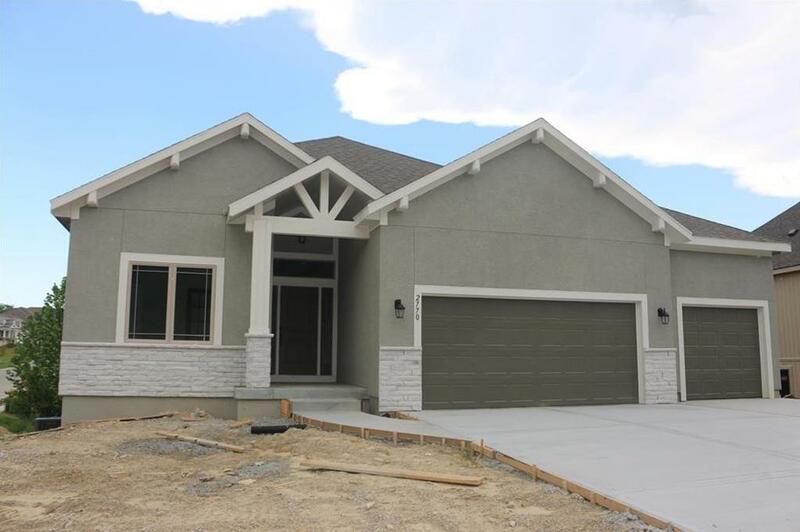 This single family home is 2,571 sqft and on a lot of 12,197 sqft (or 0.28 acres) with 4 bedrooms and 3 baths. This property was listed on 10/26/2018 and has been priced for sale at $451,950. Listing Last updated 04/04/2019 11:30 PM CDT . Some properties which appear for sale on this web site may subsequently have sold or may no longer be available. Walk Score provided by Walk Score. Mapping data provided by Google and Bing.